06 Feb 2018 / 23:45 H.
DHAKA: Bangladesh police banned street protests Tuesday ahead of a verdict against against opposition leader Khaleda Zia, whose party says more than a thousand of its activists have been detained. Zia, 72, may face up to life in prison if found guilty on Thursday on charges of embezzling US$252,000 (about RM985,000). Her Bangladesh Nationalist Party (BNP) says police and other security forces have detained more than a thousand of its activists and officials in a nationwide crackdown before the verdict. Dhaka Metropolitan Police said it feared opposition parties could "create anarchy" if she was convicted. Her party says the charges against the two-time prime minister are politically motivated. 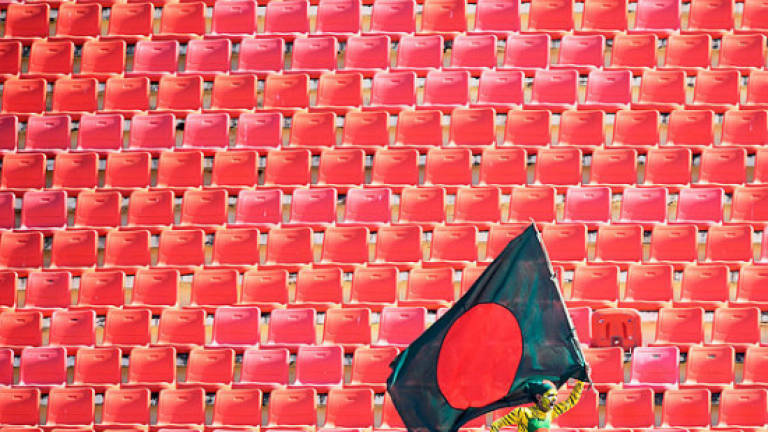 "I hereby declare that no processions — by standing up or sitting down — will be allowed on the roads that block public or vehicular movements," Dhaka police chief Asaduzzaman Mia said in a statement. BNP spokesman Ruhul Kabir Rizvi said police were raiding homes and offices of opposition activists and supporters to detain them. "The government is turning the country into a police state," he told AFP, saying police have so far detained nearly 1,200 BNP activists since Jan 30. "They are hijacking the people's right to protest by silencing them." A police spokesperson could not confirm the number of arrests. Prothom Alo, the country's largest circulation Bengali daily, put the number of arrests at more than 1,100 including 431 on Monday alone. Senior BNP officials including former minister Amanullah Aman are among those arrested. Political demonstrations by Zia's centre-right BNP and its Islamist allies in 2014 and 2015 left nearly 200 people dead. A conviction could restrict Zia's participation in elections to be held at the end of this year.